In its 454th year celebration of the Fiesta Señor, Basilica Minore del Santo Niño de Cebu (BMSN) bestows an image of the Holy Child Señor Santo Niño de Cebu to GMR Megawide Cebu Airport Corporation (GMCAC) today, January 14, 2019. 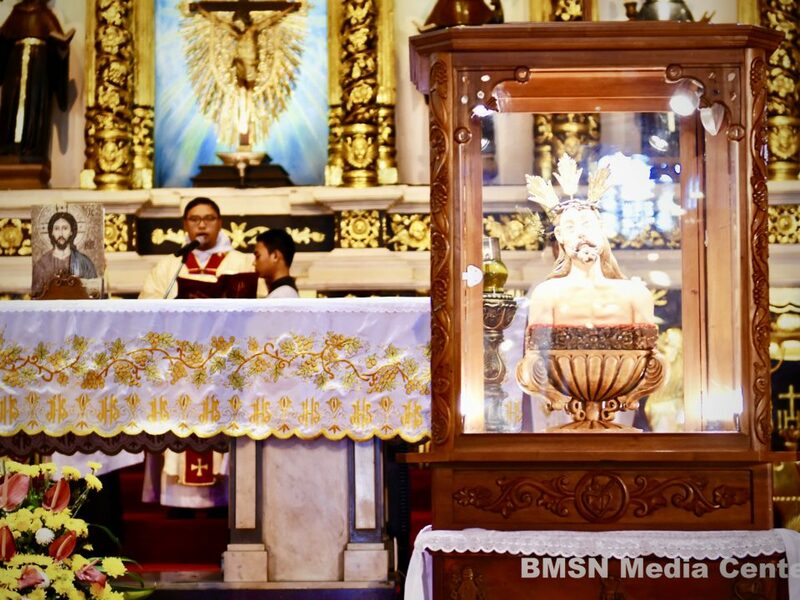 Earlier today, coincided the Sinulog kick-off of MCIA, an image of Santo Niño de Cebu from the Basilica is given to GMCAC. The handing over of an image of the Holy Child is made possible due to Bishop Dennis Villarojo of the Archdiocese of Cebu asking Rev. Fr. Pacifico Nohara, Jr., OSA to give an image of Santo Niño de Cebu to the airport during the blessing of the MCIA Terminal 2 last June 2018. Rev. Fr. Nohara expressed his tremendous approval to the request of Bishop Villarojo and it was realized earlier as GMCAC accepted the image. The image will permanently stay on the arrival area of MCIA Terminal 2. 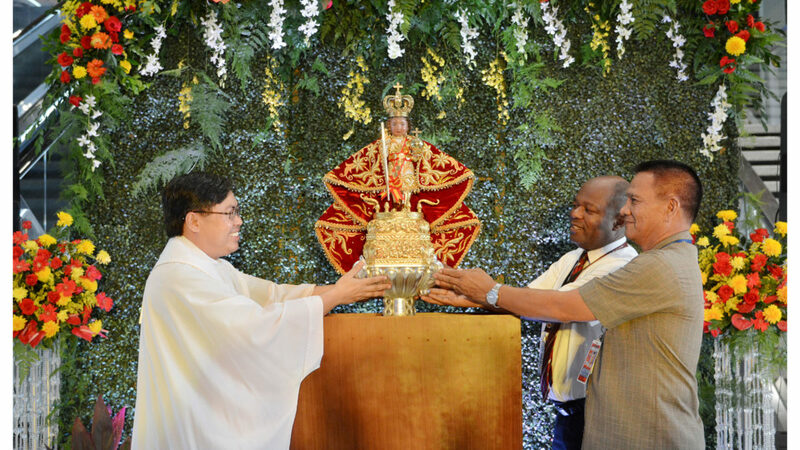 Andrew Acquaah-Harrison, Chief Executive Adviser of GMCAC, expressed his gratitude and happiness upon accepting the holy image of Santo Niño. 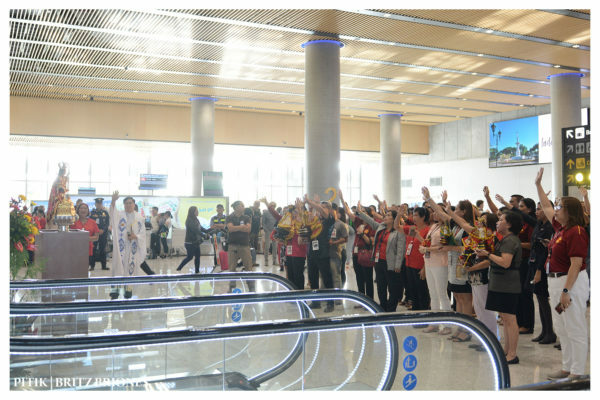 “An airport being the place where people stop for their journey to the second journey, it is great to have an image of Santo Niño”, he said. 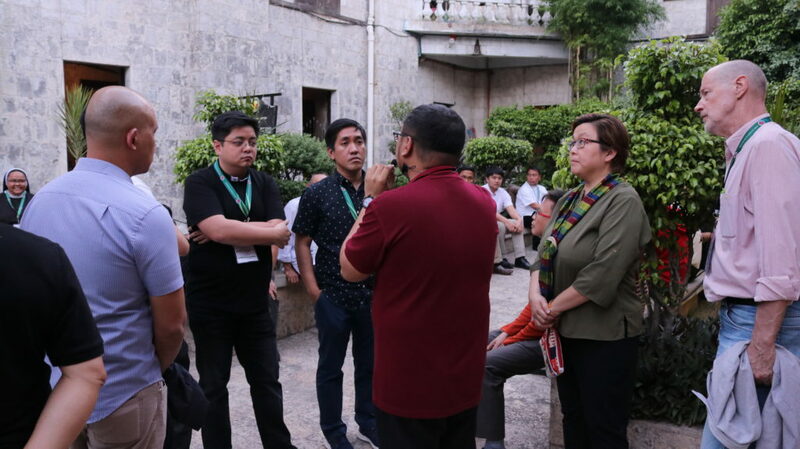 Harrison also stated how people should be reminded that the launching of Sinulog is not only a fiesta but first and foremost, an important religious ceremony. 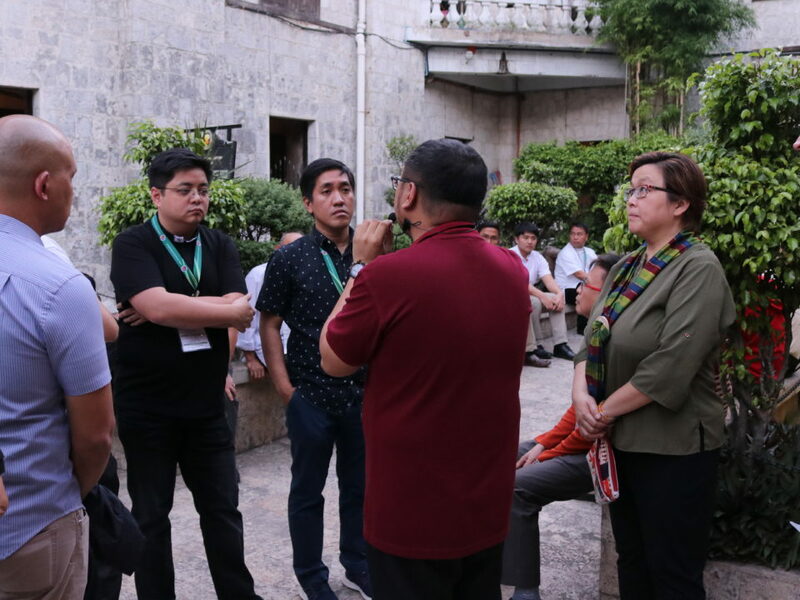 He asserts that the image of Santo Niño creates a great impact to the whole MCIA community. 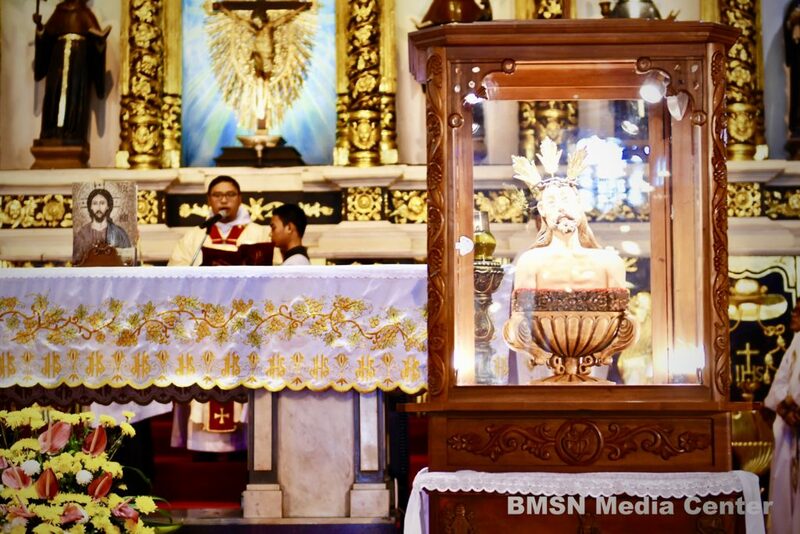 “For many people, the blessed image of Santo Niño is something that represents faith, belief; [that] in times of need, in times of joy, everybody turns to Santo Niño,” Harrison added. 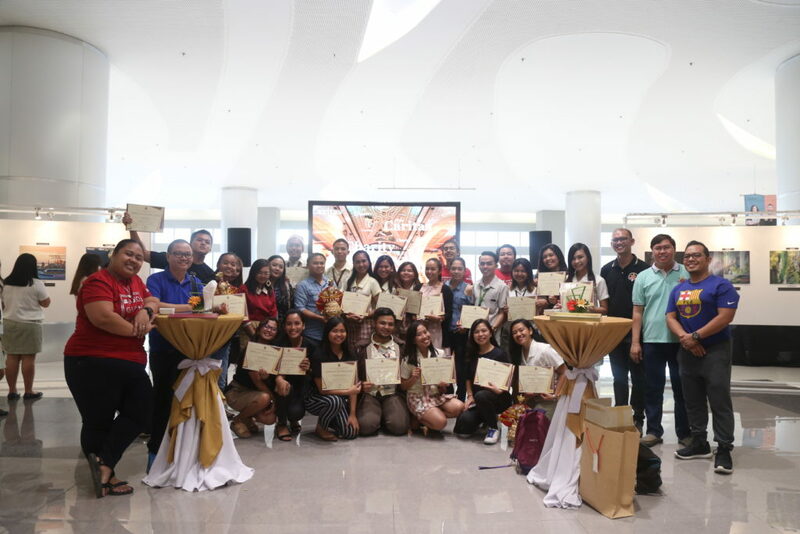 MCIA personnel and staff welcome the image of Santo Niño with a liturgical celebration lead by Rev. Fr. Nohara, OSA and a traditional Sinulog dance is offered afterwards. According to Emmanuel Correa, GMCAC staff, he is much honored to have the Santo Niño at the airport. “The event is very solemn and I am very honored, being a Catholic from India. I am wishing peace and happiness in all the community of Cebu,” he said. Correa added that the image of Santo Niño will help the workers work diligently and honestly. 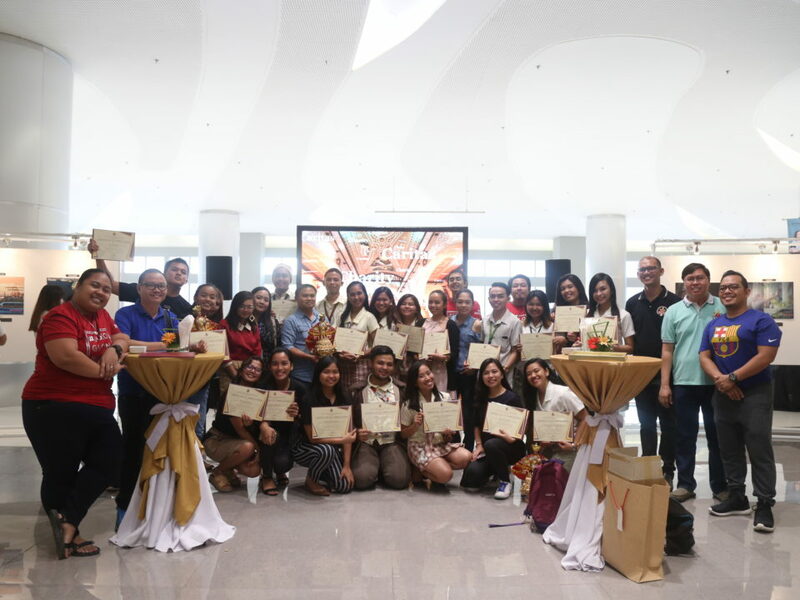 It is a remarkable event for MCIA to receive and accept an image of Santo Niño from Basilica for it is the Basilica’s first time to give an image to the airport.